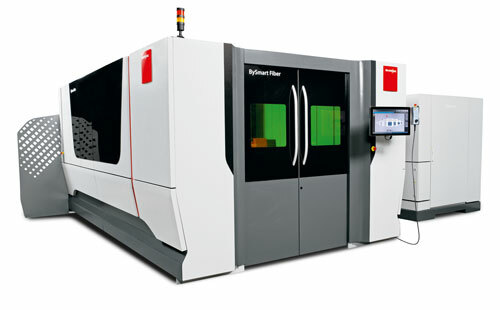 Bystronic introduced its next-generation BySmart Fiber laser-cutting machine. The system focuses on the core competency of a fiber laser, delivering cutting speeds to four times faster than CO2 while using less than half the hourly operating costs. A dual rack-and-pinion bridge design enables fast accelerations and cutting speeds. Simple-to-use ByVision user interface with full 22-in.-touchscreen controls.